We are a locally owned independent music store on the "Music Highway" between memphis & Nashville in jackson, tennessee. COME EXPERIENCE OUR WIDE SELECTION OF INSTRUMENTS AND GEAR, BEGINNER TO PROFESSIONAL. 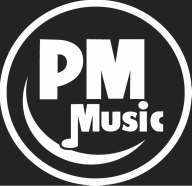 WE STRIVE TO MEET YOUR MUSICAL NEEDS WITH FAIR PRICES AND EXCEPTIONAL PERSONAL SERVICE.